Verdi's initial idea for a new opera – for which he had a contract going back over several years – was rejected by the Teatro San Carlo in Naples. He attempted to negotiate his way out of this obligation and, when that failed, Cammarano came up with the idea of adapting the Schiller play, with which Verdi was familiar. The process was set in motion, with Verdi still living and working on initial ideas from Paris, where he had been living for almost two years before moving back to his home town of Busseto in the summer of 1849. It was from there that he wrote the music and traveled to Naples for rehearsals. The first performance was given on 8 December 1849. Francesco Domenico Guerrazzi was an Italian writer and politician involved in the Italian risorgimento. Francesco Ferruccio was an Italian captain from Florence who fought in the Italian Wars. 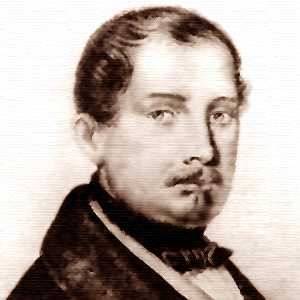 Cammarano advised the composer to avoid a story which had any sort of revolutionary tinge, and he came back with an idea which Verdi himself had once proposed in 1846 for adapting Schiller's Kabale und Liebe when he was recovering from his illness and in the company of Andrea Maffei (who was writing the libretto for I masnadieri ). Therefore, he sent a synopsis of Luisa Miller (which he called Eloisa Miller) to Verdi on 14 May 1849. Verdi's reply to Cammarano on 17 May outlines some of his concerns; these revolved around the shift of some elements (especially in act 2) and the addition of a duet for Walter and Wurm. 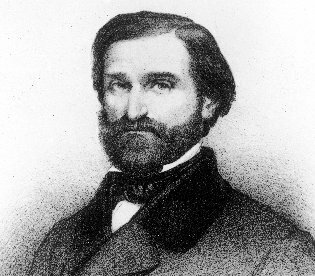 As Budden notes, "the only one of these points on which Verdi got his way was the new duet" (because the librettist raised various objections regarding the conditions at the San Carlo and various others), but Budden emphasizes the "spirit of give and take" which prevailed through their relationship. 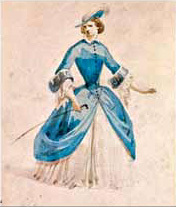 One example regarded the ending of act 1 where Verdi emphasized that there should no stretta, and the librettist agreed provided that "the act did not end in slow tempo but should quicken towards an animated finish." (See "Music" below). Having moved the action to a Tyrolean village (in the 17th century) from a princely court (in the 18th) and having shifted the characters away from their princely intrigues (which preoccupied Schiller), Cammarano moves the focus much more toward the "Liebe" (Love) and away from the "Kabale" (Intrigue) aspects of the play. It was from Busseto that Verdi then began work on the score of this opera, having received the libretto from Cammarano on 13 August. In October he left for Naples, accompanied by Antonio Barezzi, whom he continued to refer to as his "father-in-law". 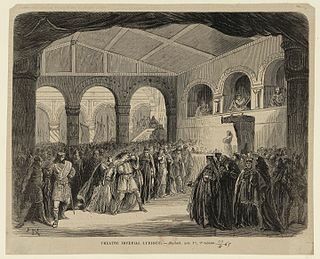 The premiere, on 8 December 1849, was well received, although for Verdi, the experience of dealing with the authorities at the San Carlo Opera in Naples caused him to vow never to produce another opera there. In fact, he never did, in spite of having initially written Un ballo in maschera for that house. Three opera companies, which plan to present all of Verdi's operas, have given this opera: the Sarasota Opera in 1999 as part of its "Verdi Cycle"; the Teatro Regio di Parma in October 2007 as part of their ongoing "Festival Verdi";  and the ABAO in Bilbao, Spain, in 2012 as part of its "Viva Verdi" series. The Paris Opéra at the Bastille Opera presented the work with Ana Maria Martinez and Ramón Vargas as Luisa and Rodolfo respectively on 8 March 2008. Luisa Miller is scored for piccolo, two flutes, two oboes, 2 clarinets, two bassoons, four horns, four offstage horns, two trumpets, three trombones, one cimbasso, one harp, timpani, a bell representing a church bell, a bell representing the castle clock, bass drum and cymbals, organ and strings. Julian Budden provides a summary of the strengths of this opera and demonstrates how it takes on many new dimensions based on several things: the relatively longer time-frame for completing the piece, the fact that Verdi did make sketches of some of the music in advance, the opportunity "to allow the newly-acquired Parisian elements to become assimilated into his Italian style" – resulting in "the best of it set[ting] a new standard in Verdian opera." He demonstrates how in act 3, "the sensitive scoring, the flexibility of the musical forms, the growing importance of the role which Verdi assigned to the orchestra ... permits him to write two lengthy dialogue recitatives (Luisa and Miller; Luisa and Rodolfo). Of these two duets, David Kimball notes that they "best illustrate Verdi's habit of fashioning the musical forms to match the dramatic purpose",  although Parker slightly qualifies this by stating that he sees the opera's importance amongst those written pre-Rigoletto as being not so much "for its formal experiments as for its control of conventional musical forms, especially the grand duet." In that regard, he sees it as resembling Il trovatore . 1 2 Parker, p. 82: He refers to 19th century writer Basevi's description as this begins Verdi's "second manner". ↑ George Whitney Martin (2011). Verdi in America: Oberto Through Rigoletto. University Rochester Press. p. 189. ↑ "Luisa Miller". Operabase. Retrieved 26 March 2018. ↑ "Luisa Miller". Metropolitan Opera Archives. Retrieved 26 March 2018. ↑ "Luisa Miller". ROH Collections. Retrieved 26 March 2018. ↑ "San Francisco Opera to Open 93rd Season This Fall with Gala Performance of Luisa Miller". Broadway World. 2015-06-24. Retrieved 2015-08-15. 1 2 3 "Luisa Miller". Naxos.com. Retrieved 15 June 2014. Kallberg, Jeffrey (1991), Luisa Miller, full score critical edition. Chicago & Milan: University of Chicago Press & G. Ricordi. ISBN 0-226-85312-8 (University of Chicago Press), ISBN 88-7592-045-1 (G. Ricordi & C.).